Our midwinter weekend away. Family time, time to relax, recharge batteries, enjoy the fresh air and take in the magnificent scenery. Love Tongariro because we can get above the tree line and appreciate the big skies and the rugged terrain. So difficult to choose a photo today because I took so many! 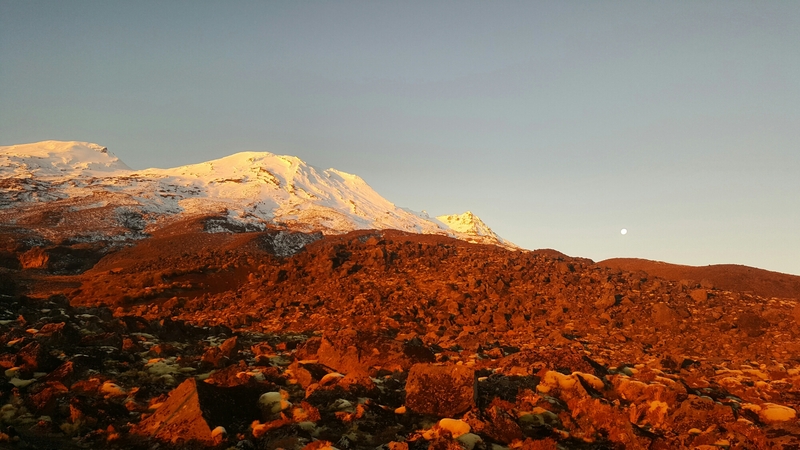 Maybe this one at the end of the day when the sun was setting in the west and casting it’s light on Mount Ruapehu and the moon was rising next to it.